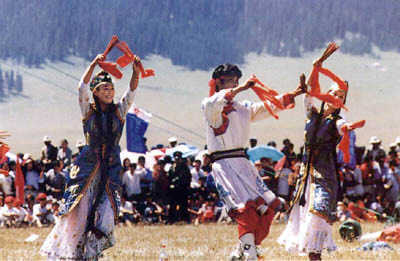 With a total population of over 4.8 million (as of 1990), the Mongolians live mainly in the Inner Mongolia Autonomous Region. Some are distributed in Xinjiang, Liaoning, Jilin, Heilongjiang, Gansu and Qinghai provinces. Mongolian history stretches back more than 2,000 years. In 1991, Mongolians celebrated the anniversary of the establishment of the first Hun State in 209 B.C.